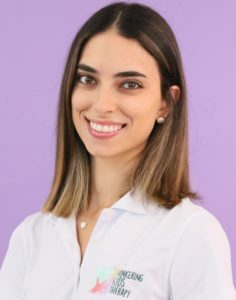 Cynthia was born and raised in South Florida and have always had a passion for working with children. She graduated from Florida International University with a Bachelor's degree in Psychology and a Master's degree in Speech-Language Pathology. During her time away from the center, she enjoys cooking, baking, and crafting! She often find herself incorporating these fun and encouraging activities into hertherapy sessions. The children love it!